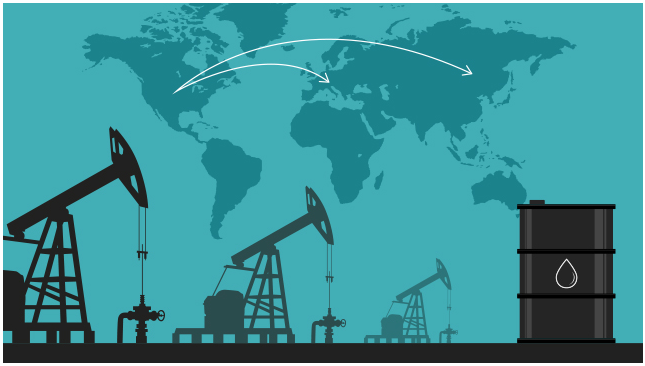 The U.S. shale revolution has turned the global energy markets upside down. 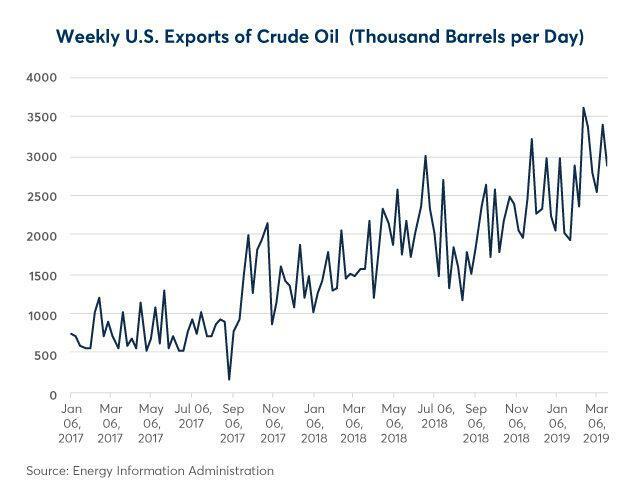 The U.S. has become one of the largest oil producers on the planet and is fast becoming a major force in the export market. The shale revolution was driven by the pioneering technology that unlocked oil and gas that was traditionally considered uncommercial to develop. The technology was provided by CME Group and adopted by U.S. energy giant Enterprise Products Partners LP (NYSE:EPD). An initial auction of U.S. crude oil destined for the export market was held on March 5, attracting interest from 17 firms from around the world. Glencore (OTCPK:GLCNF) was the winning buyer at the first auction, taking delivery of a cargo priced at $0.46 premium to the physically-delivered WTI Houston futures contract. A second successful auction took place on April 4. The auctions have a further benefit to the broader market. By increasing the transparency of the price of U.S. exports, international buyers are better able to judge the relative value of importing U.S. crude compared with oil from other regions such as the North Sea or West Africa. Greater transparency will help to encourage the take-up of U.S. crude oil around the world. SourE Group launched a physical crude oil futures contract based on three Houston terminals that allows customers to manage their exposure to U.S. exports. The new contract also allows traders to manage price differences between Houston and the epicenter of U.S. oil in Cushing, Oklahoma, the delivery point for WTI futures. The transformation in U.S. production levels has been driven by technical innovation, so it is fitting that innovation in the form of electronic auctions and new derivatives contracts is helping the shale industry to maximize its global reach.